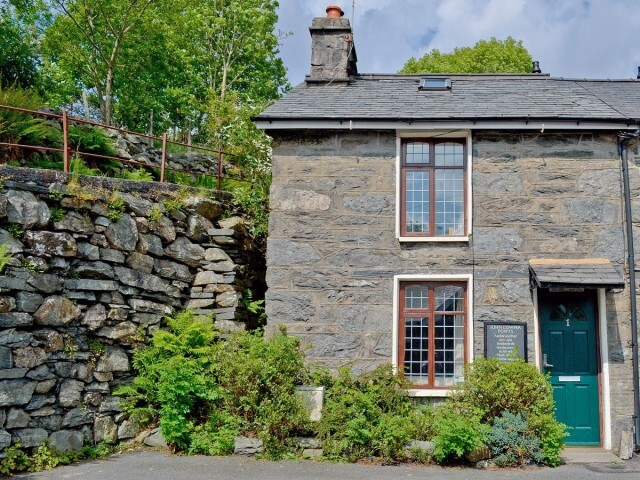 WATERLOO COTTAGE Blaenau Ffestiniog, self catering cottages with instant confirmed online booking. We have Self Catering throughout Gwynedd , Wales . Accommodation near all the attractions, places to see and things to do.......You are able to make an instant secure confirmed online booking. We also offer Gwynedd AND Wales travel and tourist information..
A romantic escape for couples wishing to explore the delights of the Snowdonia National Park.. Former home to John Cowper Powys (October 8th 1872 to June 17th 1963) a British writer, lecturer and philosopher, this semi-detached, stone holiday cottage is convenient for couples wishing to explore the delights of the Snowdonia National Park plus the outstanding beaches of west Wales, the Llyn Peninsula and north Wales coastline. Blaenau Ffestiniog is home to the Llechwedd Slate Caverns and mountain bike centre, as well as Ffestiniog narrow gauge railway. Other attractions nearby include Portmeirion and Dolwyddelan Castle, and Swallow Falls at Betws-y-Coed. Beach 14 miles. Shop, pub and restaurant 1 mile.. Ground floor: Living/dining room. Kitchen. First floor: 1 double bedroom (accessed from one side only). Bathroom with shower attachment and toilet. . Woodburner in living room (no fuel provided). Gas central heating, electricity, bed linen and towels included. Freeview TV. DVD. Electric cooker. Washer/dryer. Wi-fi. Payphone. Small walled yard. On road parking. No smoking. Former home to John Cowper Powys (October 8th 1872 to June 17th 1963) a British writer, lecturer and philosopher, this semi-detached, stone holiday cottage is convenient for couples wishing to explore the delights of the Snowdonia National Park plus the outstanding beaches of west Wales, the Llyn Peninsula and north Wales coastline. Blaenau Ffestiniog is home to the Llechwedd Slate Caverns and mountain bike centre, as well as Ffestiniog narrow gauge railway. Other attractions nearby include Portmeirion and Dolwyddelan Castle, and Swallow Falls at Betws-y-Coed. Beach 14 miles. Shop, pub and restaurant 1 mile.